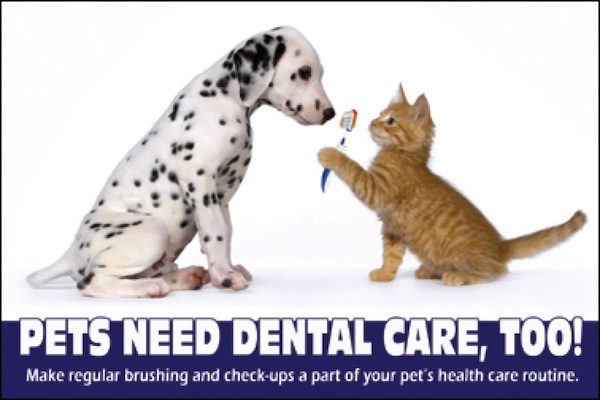 Over 80% of pets have active dental disease by the age of 3 years. In an effort to promote preventative dentistry, WRVC is highlighting basic dental cleanings the entire year. We will be specially promoting Grade 1 and Grade 2 dentals. These are dental cleanings for pets with mild to moderate tartar buildup that require no extractions of teeth. How do you know what grade dental disease your pet has? We always grade dental disease at your pet’s annual wellness visit. We are also happy to give a free dental examination prior to scheduling a cleaning (with appointment). These services are both cats and dogs. As part of the promotion, Grade 1 dental cleanings will be $199 and Grade 2 dental cleanings will be $229. No additional coupons or discounts will be honored. These prices will include an intravenous catheter, general anesthesia with anesthetic monitoring, a full dental evaluation, cleaning with ultrasonic scaling and polishing, and recommendations for future care. Age appropriate pre-operative blood work will be performed in advance at an additional cost depending on your pet. Any supplementary recommendations including further care due to age/conditions and extractions or radiography are an additional charge. Preventive dentistry is highly recommended to help avoid future problems including painful swollen gums, rotting teeth, and even heart and kidney disease! Your pet thanks you! We're passing on valuable, money saving coupons and mail-in rebate forms for pet supplies and food. Don't get Ticked Off.....Get the Tick Off ! Wolf River Veterinary Clinic carries products that are safe for your pets to protect them against fleas and ticks. Currently we are offering Frontline Gold for cats and dogs. Special promotion right now - Buy 3, get one free. We also offer Bravecto and Credelio. We look forward to serving you and your pet !!. Your pet’s health and safety are important to us. You can reply on us to fill your pet’s medication for a chronic medical condition or short-term condition. In addition to pet medications, we maintain a large inventory of veterinary products including prescription diets, flea, tick and heartworm preventive products. We are more than happy to fill your prescriptions or have your food orders ready for pick-up. Due to the large number of requests that we handle, please call ahead with a 24 hour notice. We will have your order ready when you arrive and this will help minimize your wait time. If additional examination or testing is needed in order to refill the prescription, we will contact you. Each refill request must be authorized by your veterinarian due to state law; we cannot dispense medications without your pet having an annual physical exam by us to maintain a client/patient relationship. Thank you entrusting your pet’s health to us at Wolf River Veterinary Clinic.